At an Arab League conference, PA Minister tells of plan to sue the UK for Balfour declaration, which called for 'national home' for Jews. 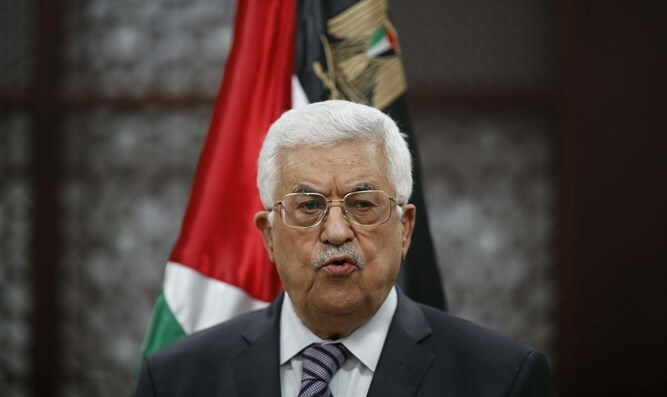 Palestinian Authority Foreign Affairs Minister Riyad Al-Maliki has declared that the PA intends to sue Great Britain for the Balfour declaration. Al-Maliki, speaking in the name of PA Chairman Mahmoud Abbas at an Arab League conference, said that as far as the PA is concerned, the declaration published by the British empire in 1917 "gave that which wasn't theirs to give to those to whom it did not belong." The Balfour declaration was a 1917 letter from United Kingdom Foreign Secretary Lord Arthur James Balfour declaring that the British government "views with favor the establishment in Palestine of a national home for the Jewish people." This was the first official recognition of the Zionist endeavor by a major world leader. The PA Minister continued to say that the declaration brought about the immigration of hundreds of thousands of European Jews to "Palestine", which eventually led to the "Nakba", referring to the Palestinian narrative of the "tragedy" in the 1948 War of Independence. Al-Maliki asked for the help of the nations participating in the conference in Mauritania in bringing the scheme to fruition.